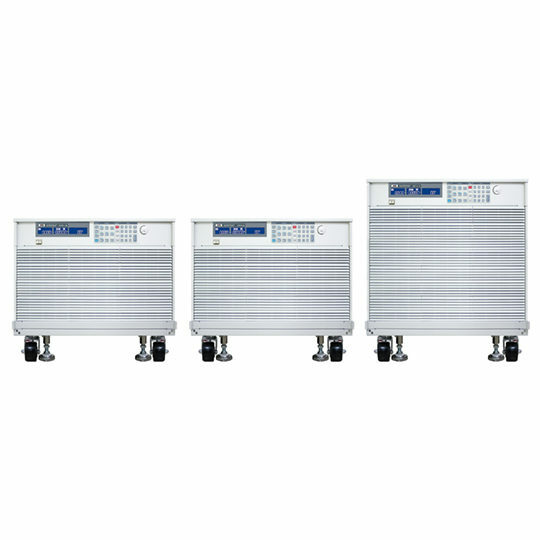 APS-7000 is a series of programmable linear AC power supply, with the height of 2U and output frequency range is 45~500Hz, , the maximum rated output for APS-7050 is 500VA, 310Vrms, 4.2Arms and APS-7100 is 1000VA, 310Vrms, 8.4Arms. 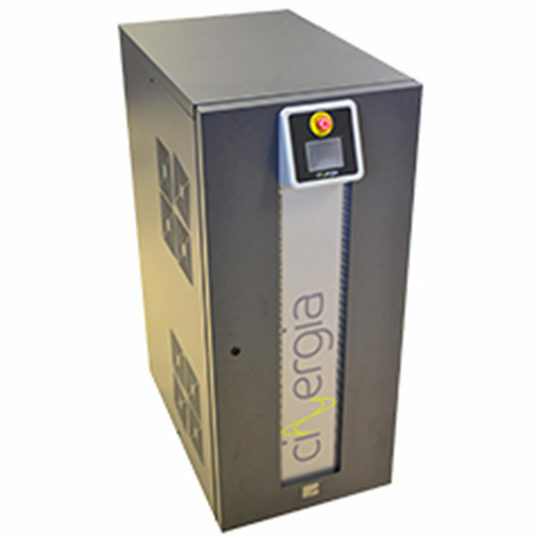 The optional collocation can be extended to the maximum output voltage of 600Vrms and maximum output frequency of 999.9Hz. 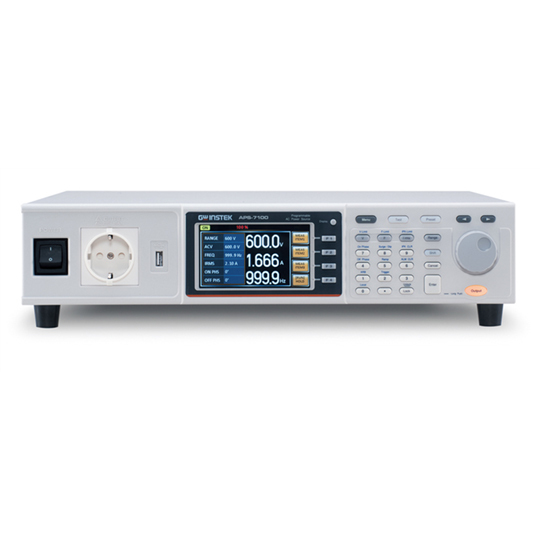 The APS-7000 series comprises nine measurement and test functions (Vrms, Irms, F, Ipk, W, VA, PF, Ipk hold, CF), and provides user interface similar to that of AC Power Meter. 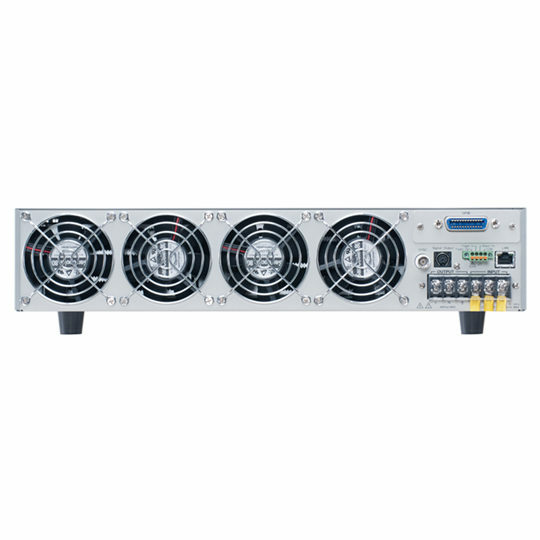 The APS-7000 series AC Power Supply, via switching many sets of current levels to increase small current measurement resolution, is ideal for the LED industry and standby mode power consumption test. 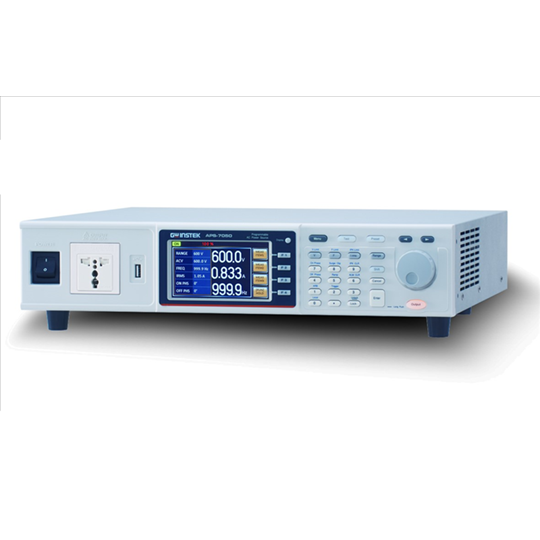 To meet the test criteria of line voltage fluctuation often seen in consumer electronics, APS-7000 series not only supply a stable source of AC, they also features five methods to cope with special purpose or abnormal voltage, frequency, and phase; ten sets of the Simulate mode simulate power outage, voltage increase, and voltage drop; ten sets of the Sequence mode allow users to define parameters and produce sine wave by editing steps; ten sets of the Program mode can edit AC waveform output and define the ceiling and floor level of measurement items for different DUT; Ramp Control allows users to set the variation speed for output voltage rise and fall; Surge/Dip Control simulates DUT’s input power producing a Surge or Dip voltage overlapping with output voltage waveform at a specific time.